Getting into a fixed routine of using landscape orientation with your DSLR is easy. After all, the DSLR seems to be designed to be held horizontally. However, only using landscape orientation eliminates 50%+ of composition possibilities! 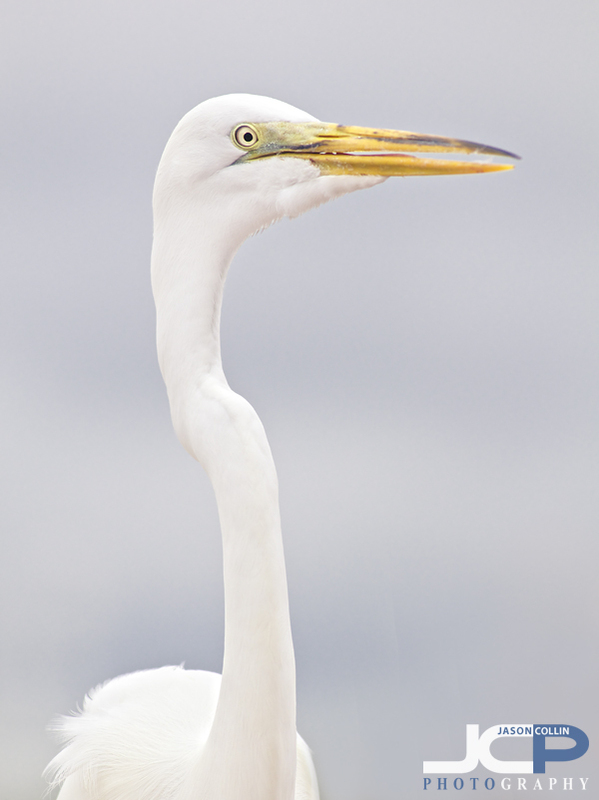 Not to mention it makes it extremely awkward to photograph long, tall subjects like the above great egret. Perhaps the best criticism I was every given about my photography was there there were not enough portrait orientation shots (thanks Jeff!). I was told that over two years ago. Ever since then every time I shoot I am mindful of using an appropriate amount of landscape and portrait orientation shots. Maybe now you will be too. When shooting in portrait orientation, I like to hold the grip part of the DSLR up, which allows me to still wedge my left elbow into my body creating a stable shooting position. The highest end DSLRs (i.e. $5000+) come with a vertical grip built in. However, many other DSLRs do have vertical grip accessories available for them made by the manufacturer. Another benefit of using a vertical grip is that it houses more batteries so you can shoot longer.